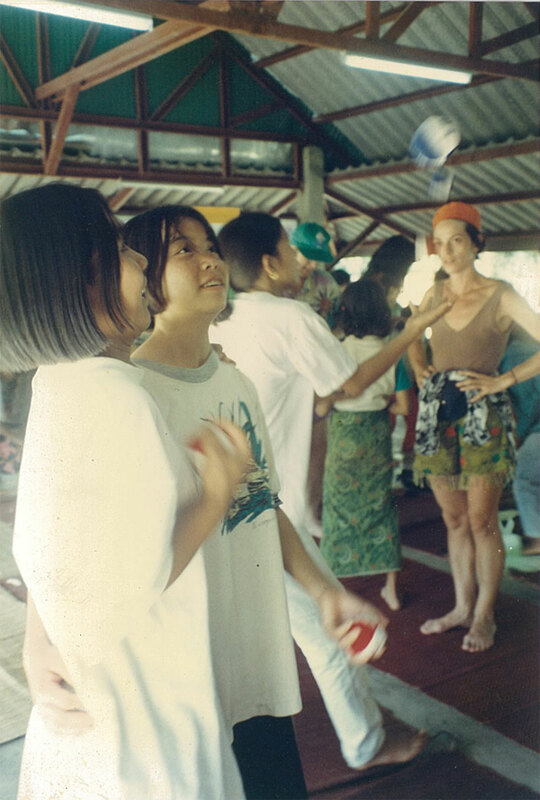 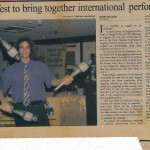 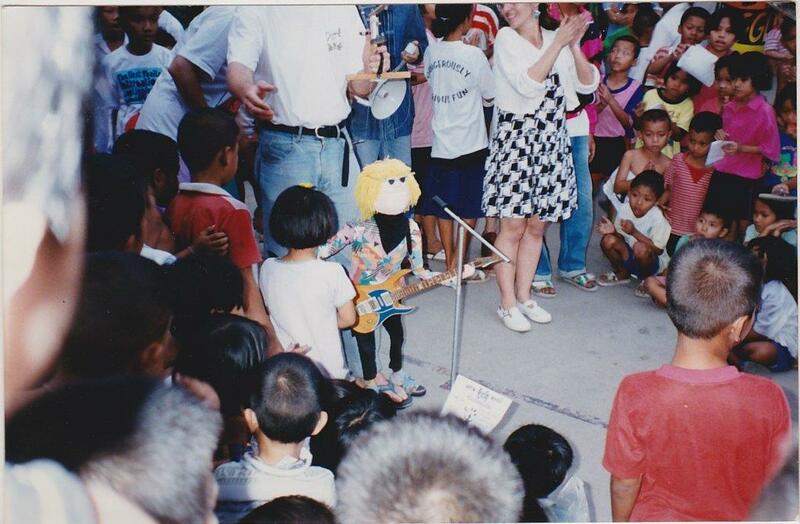 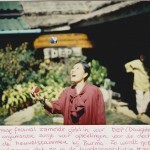 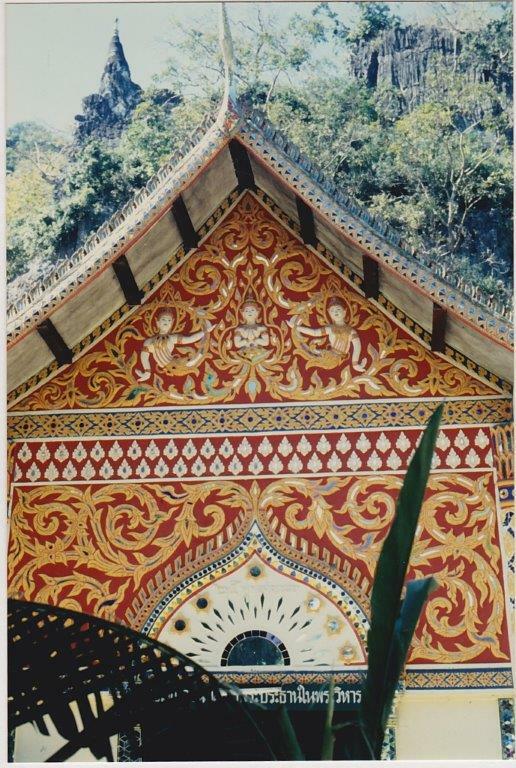 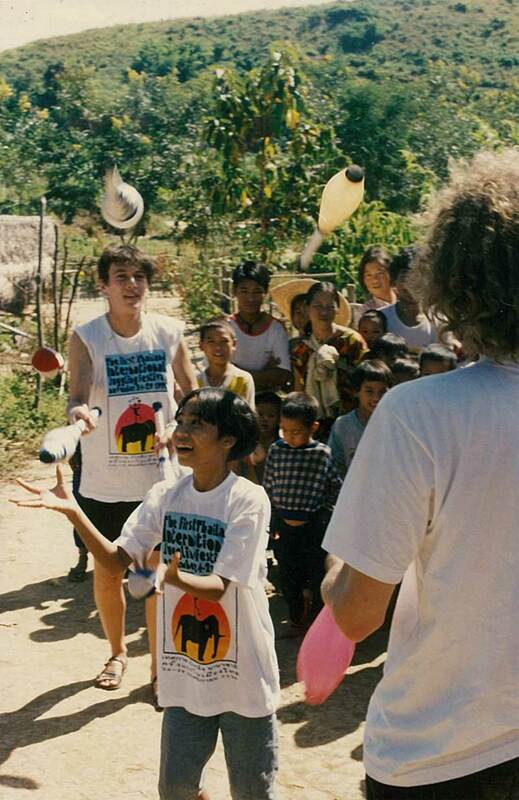 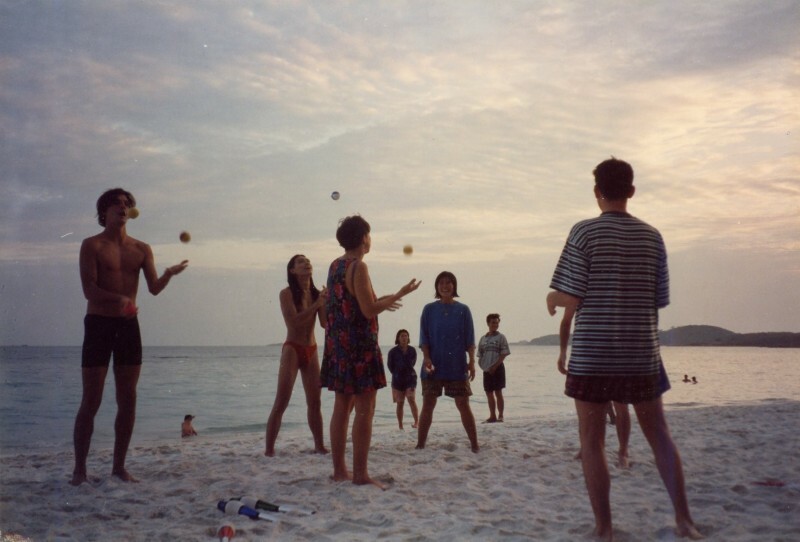 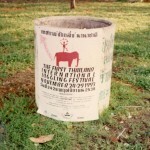 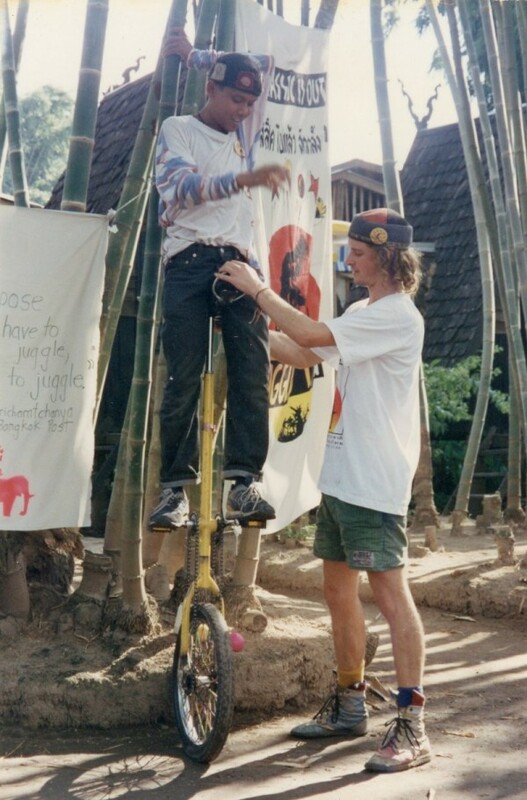 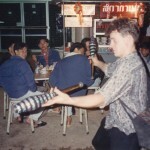 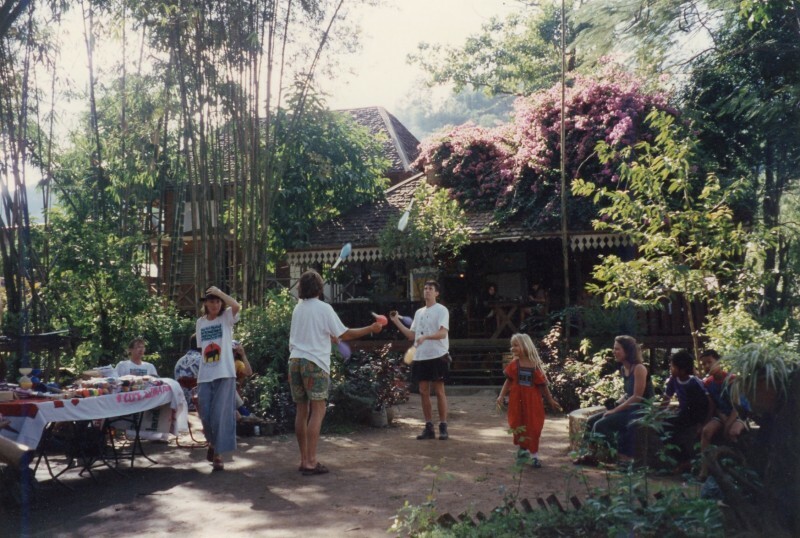 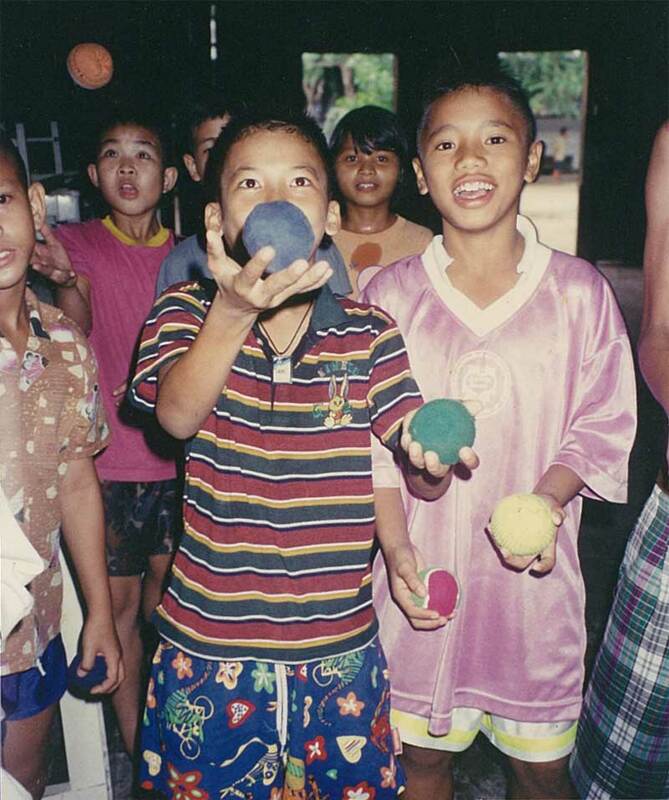 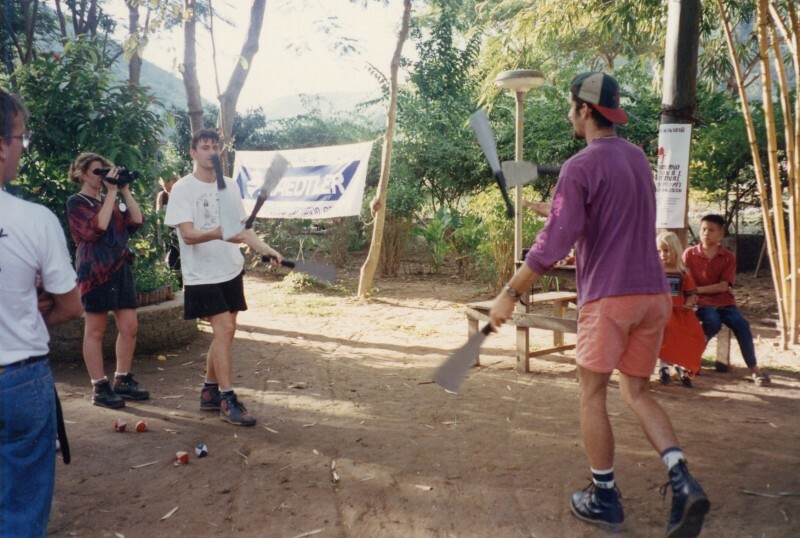 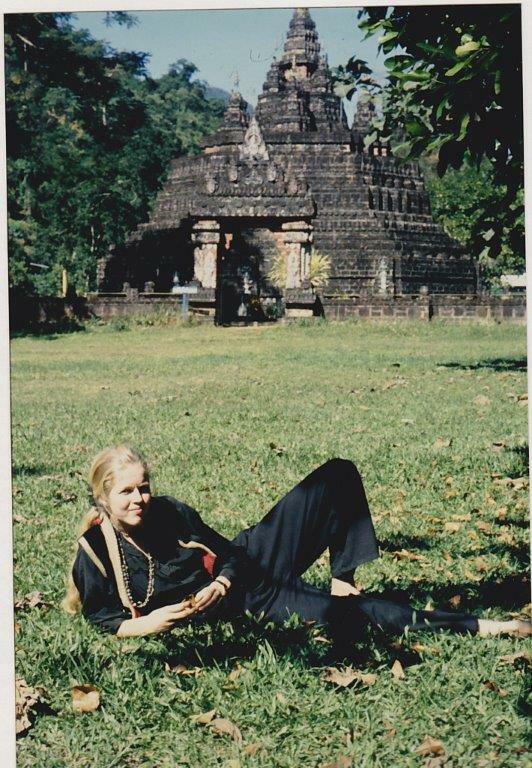 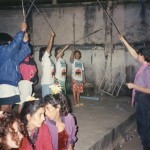 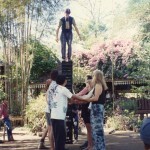 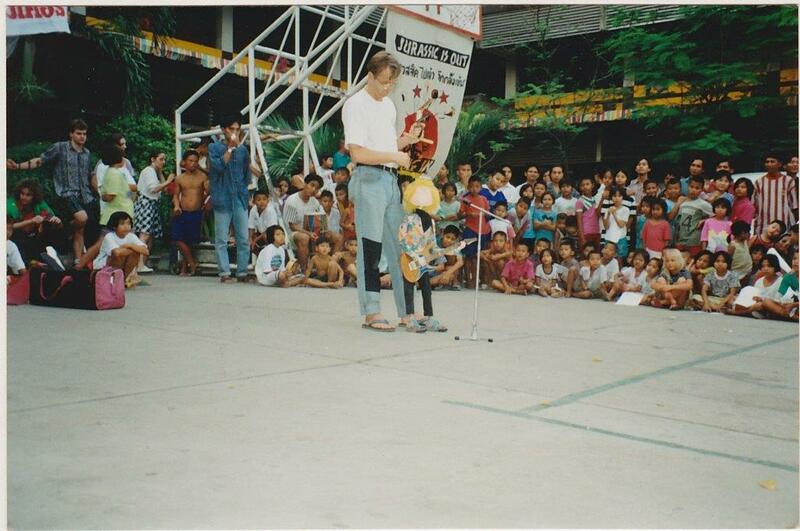 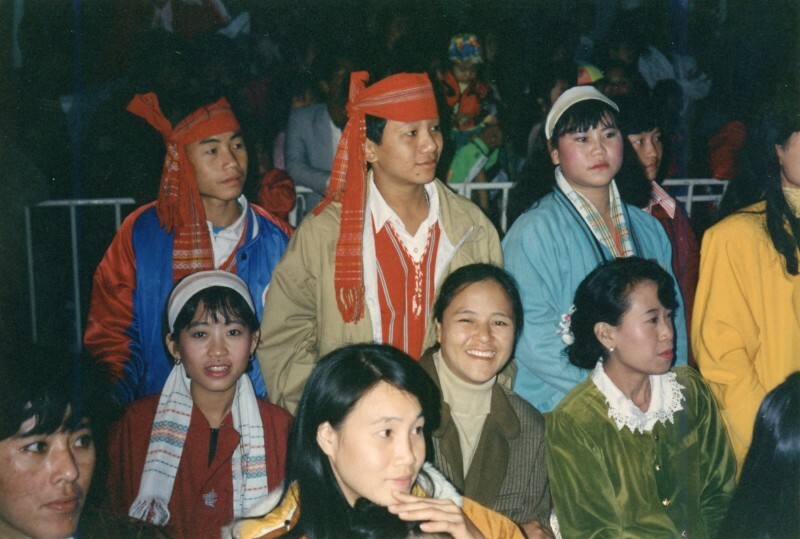 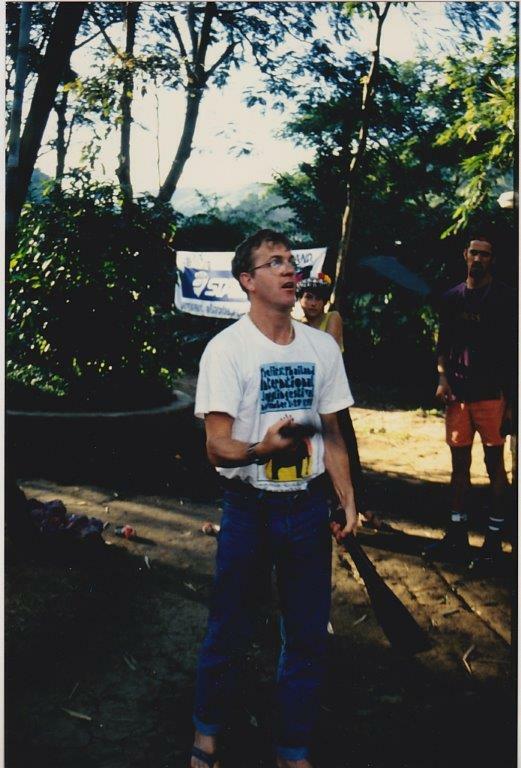 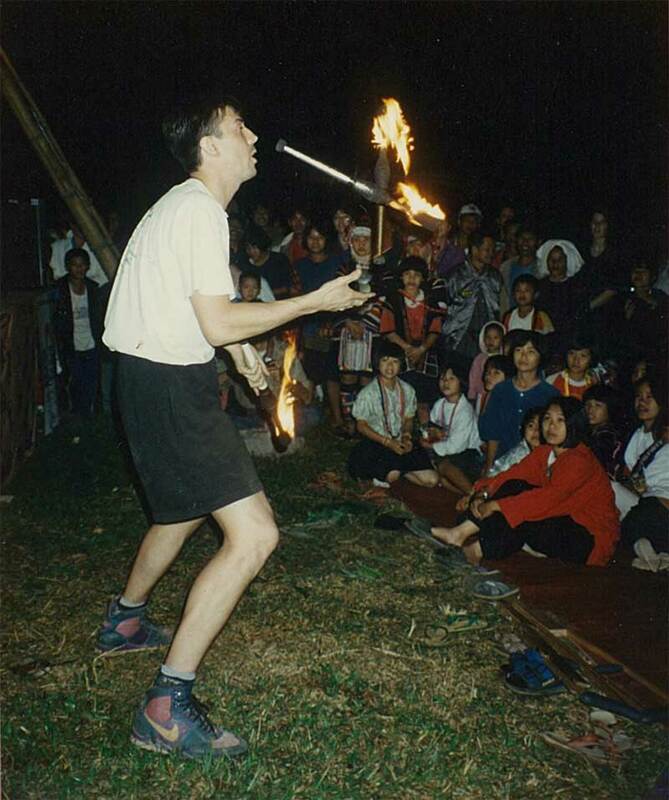 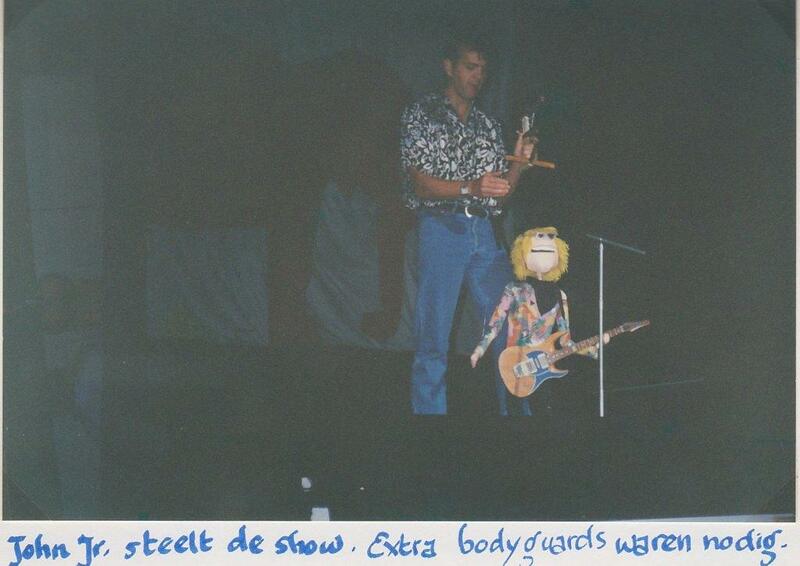 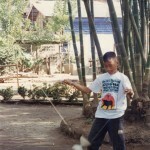 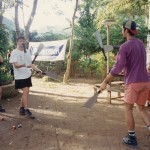 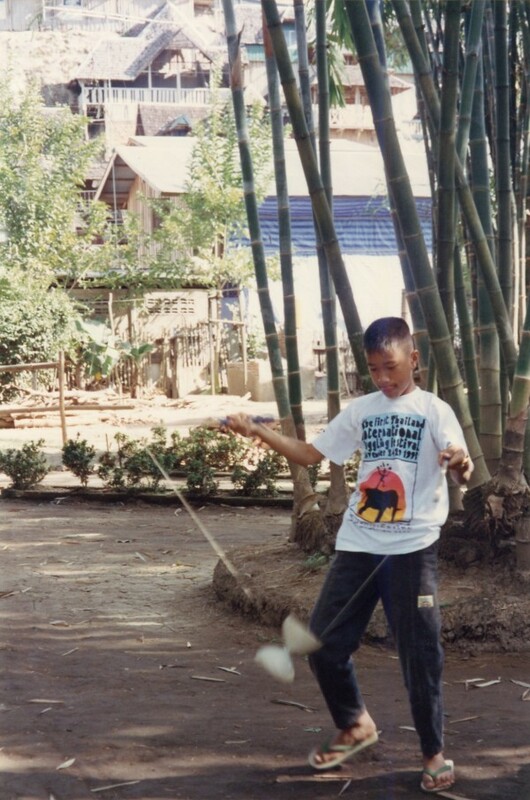 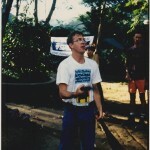 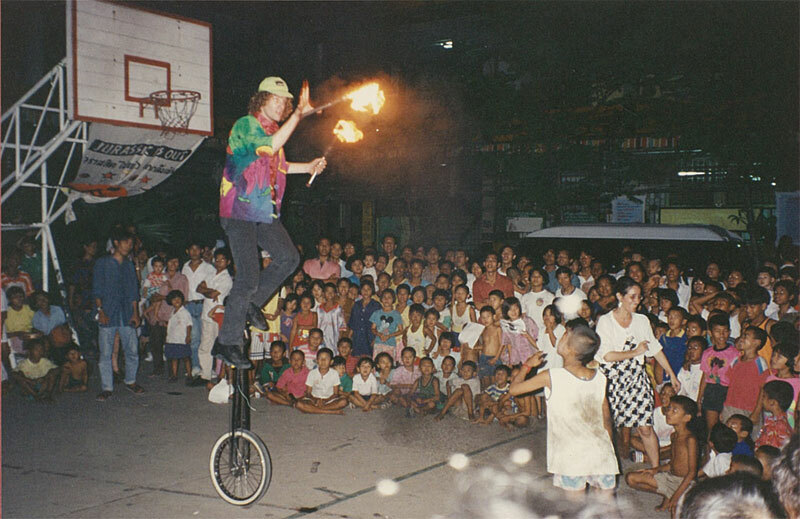 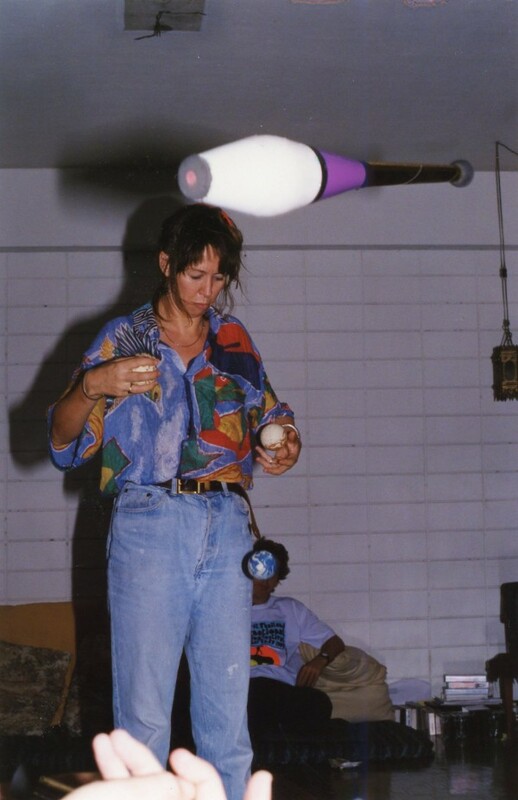 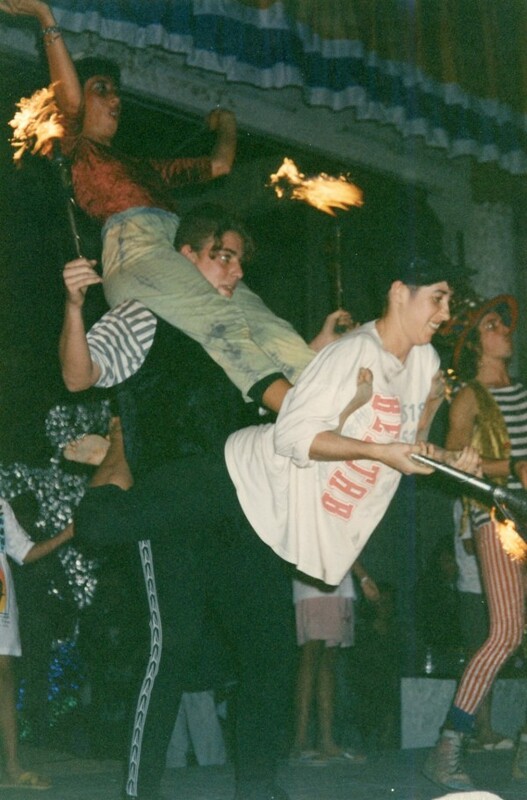 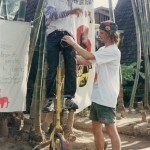 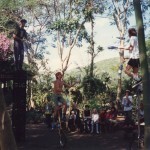 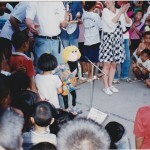 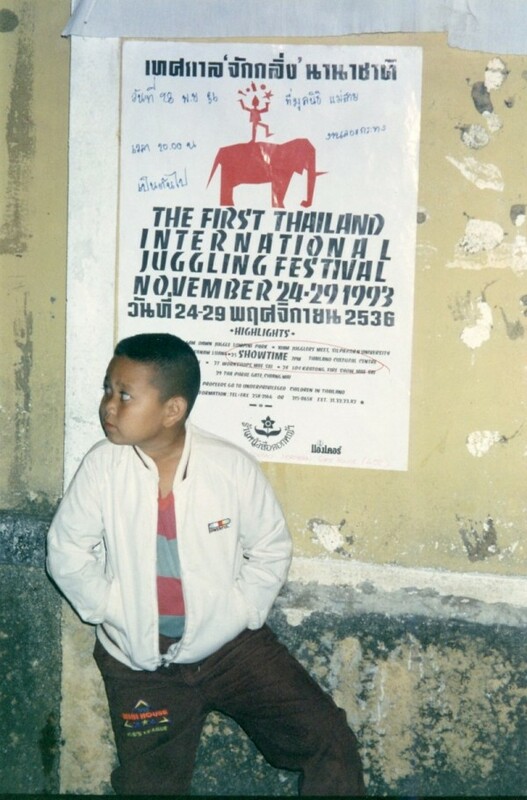 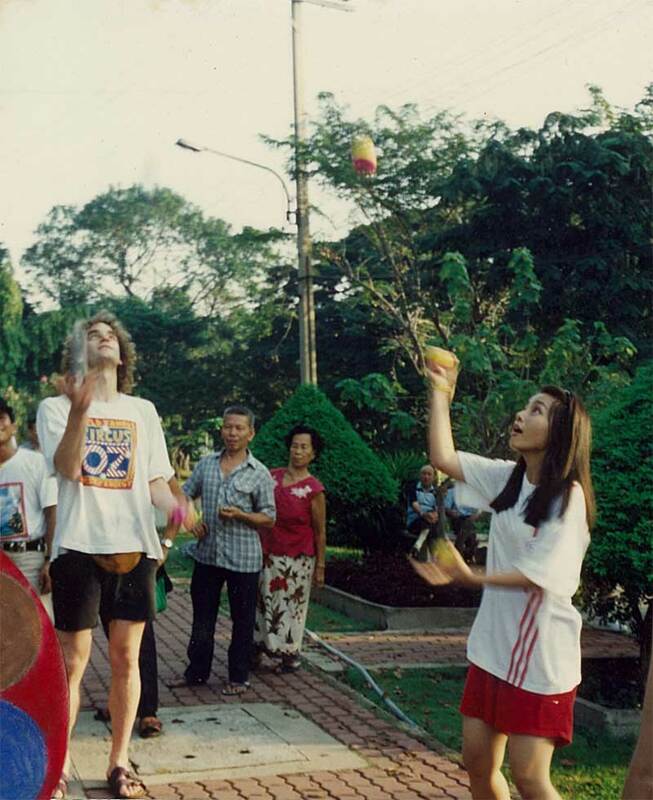 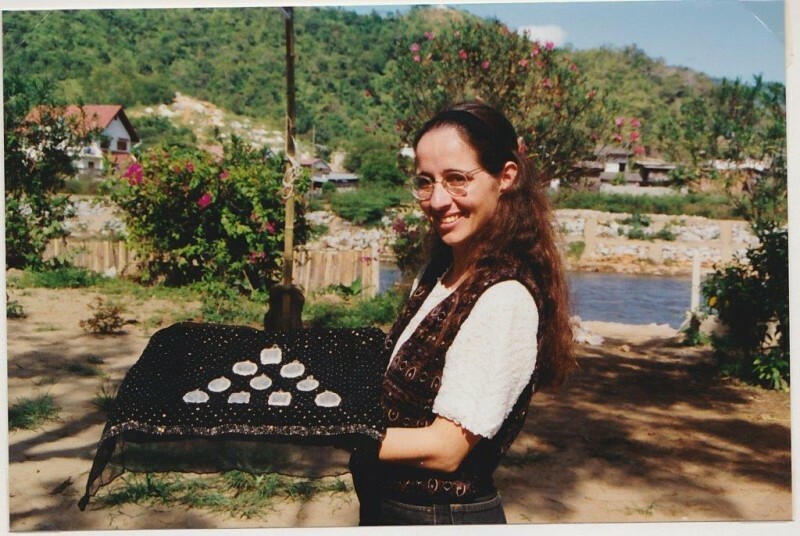 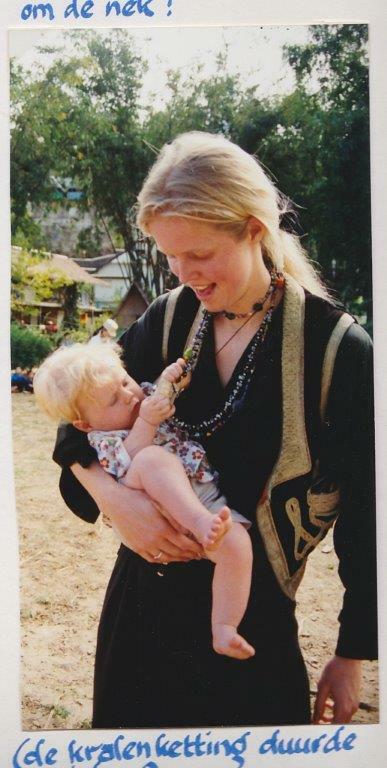 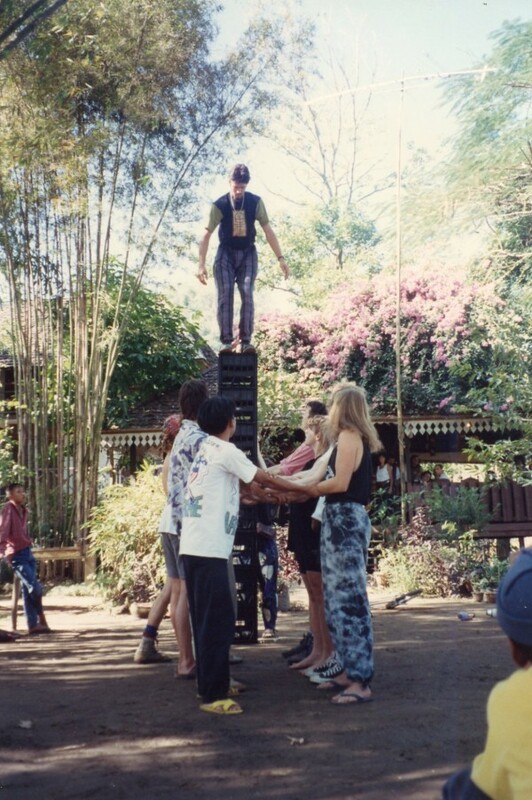 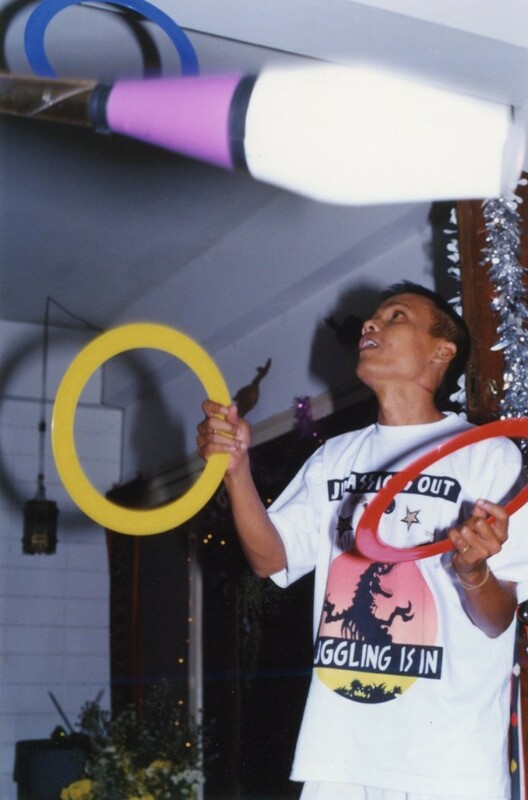 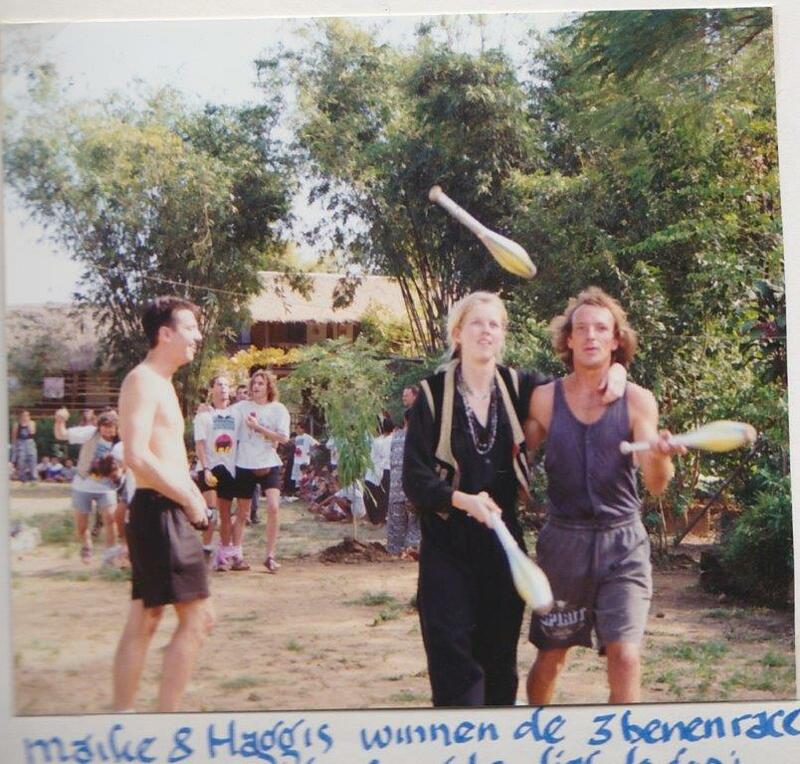 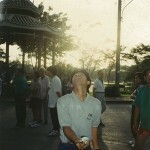 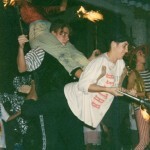 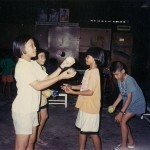 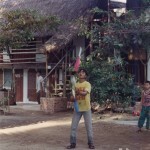 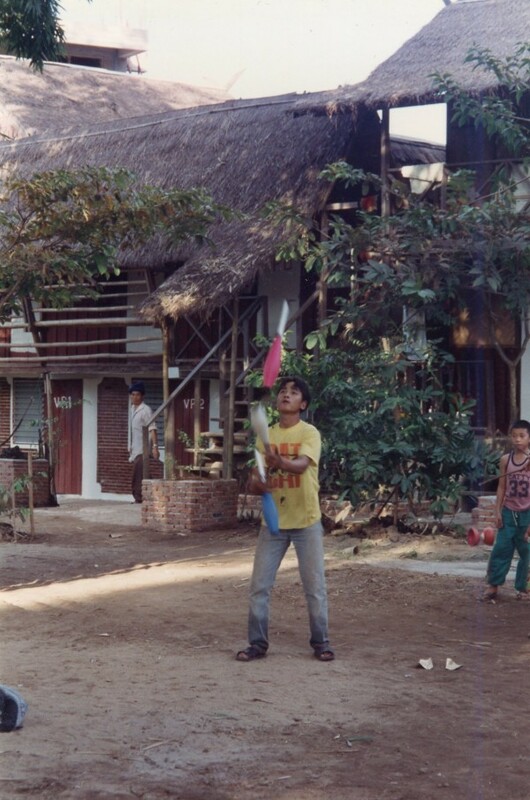 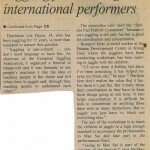 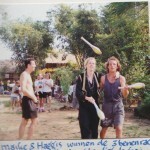 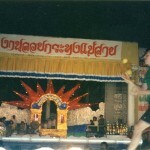 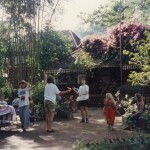 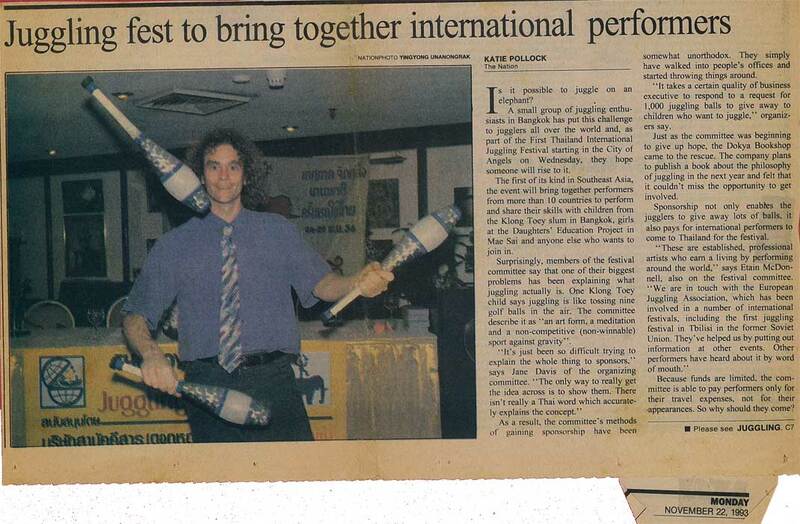 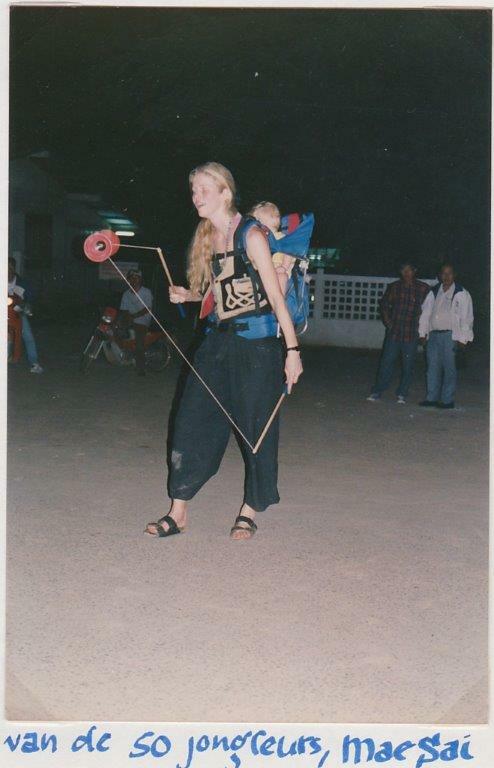 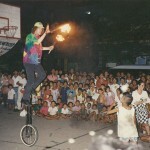 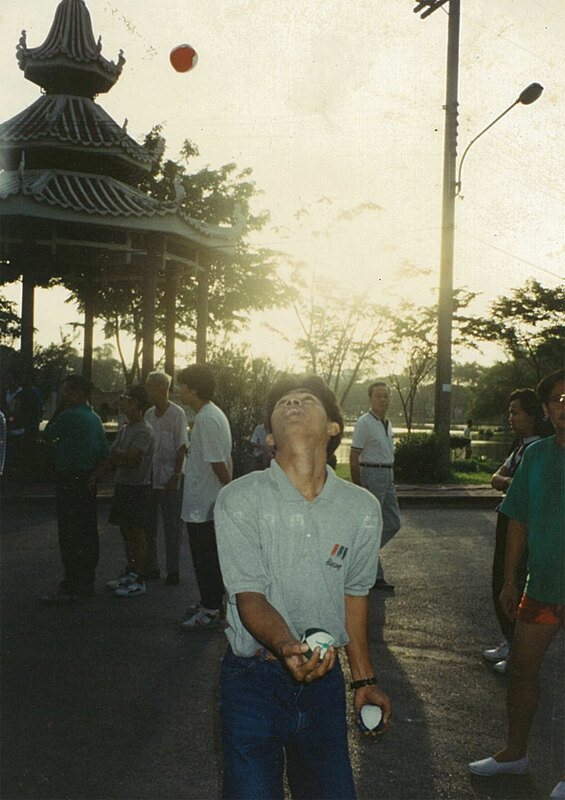 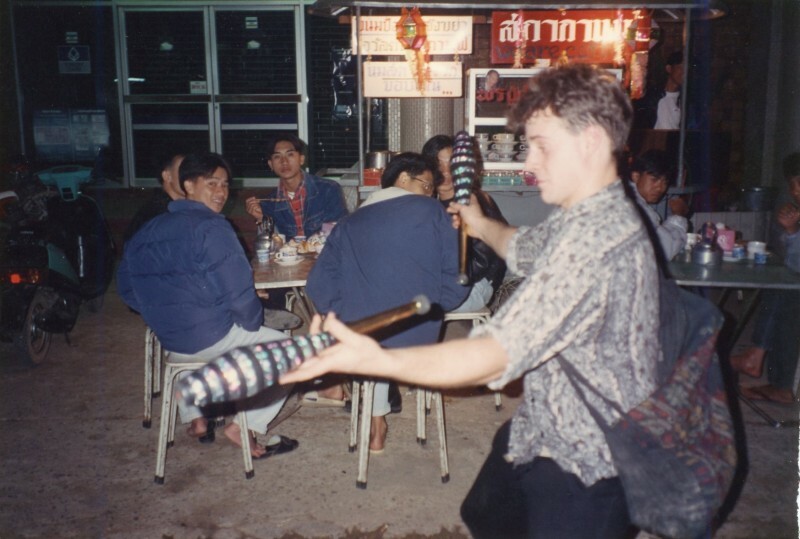 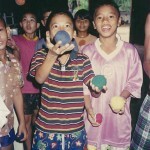 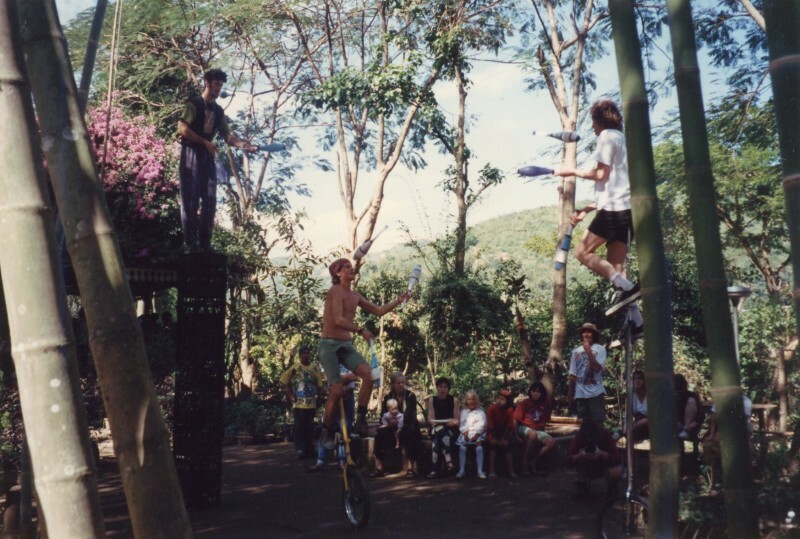 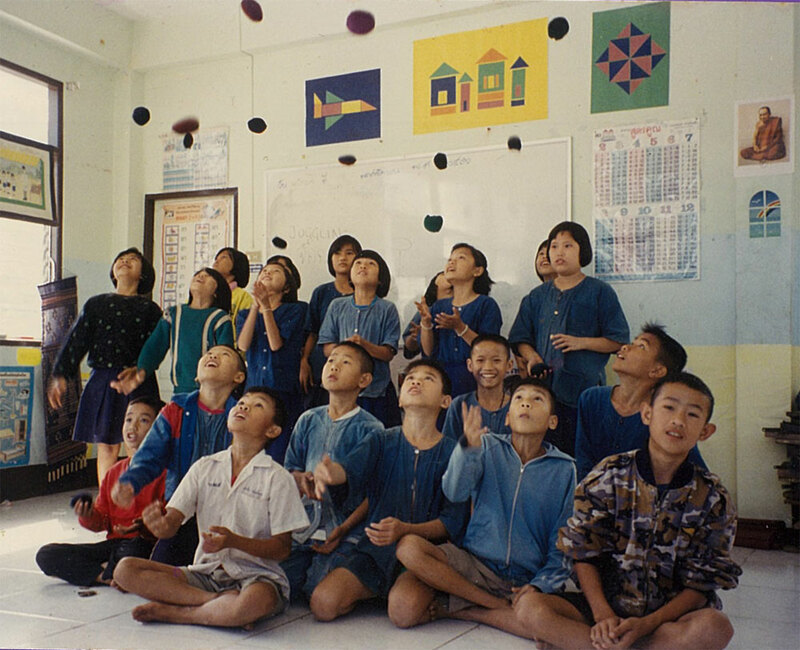 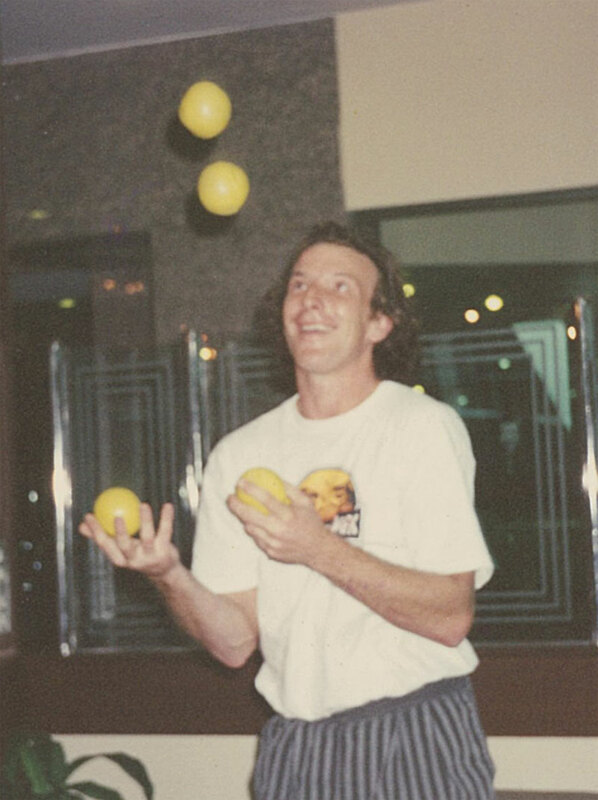 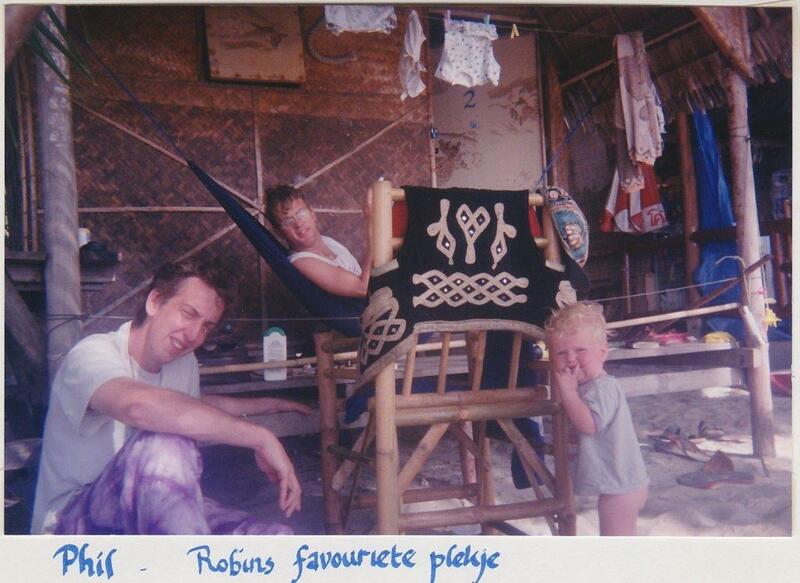 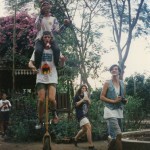 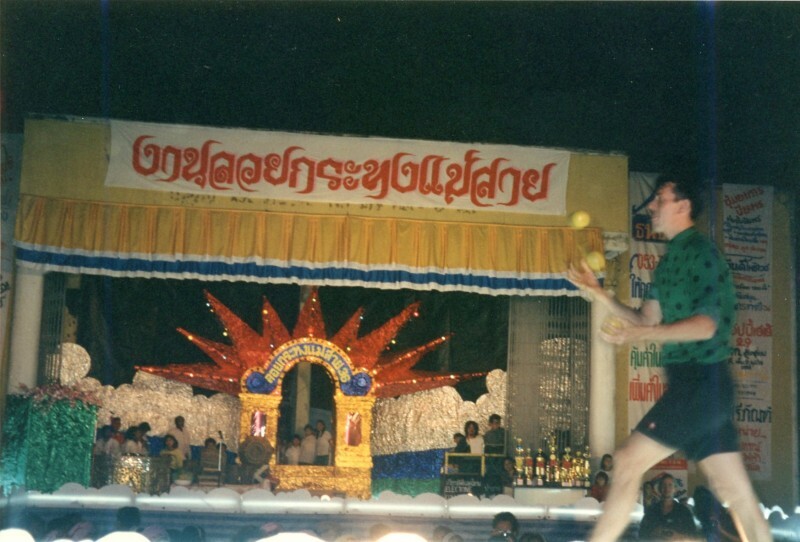 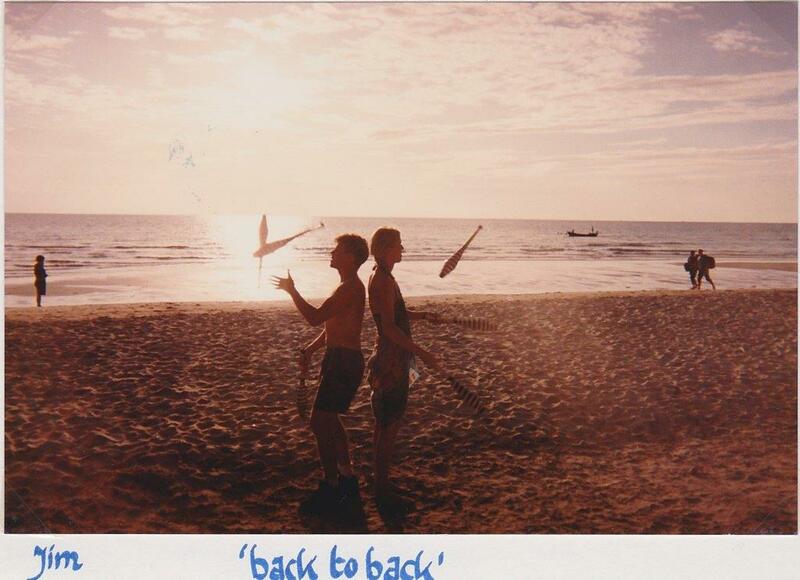 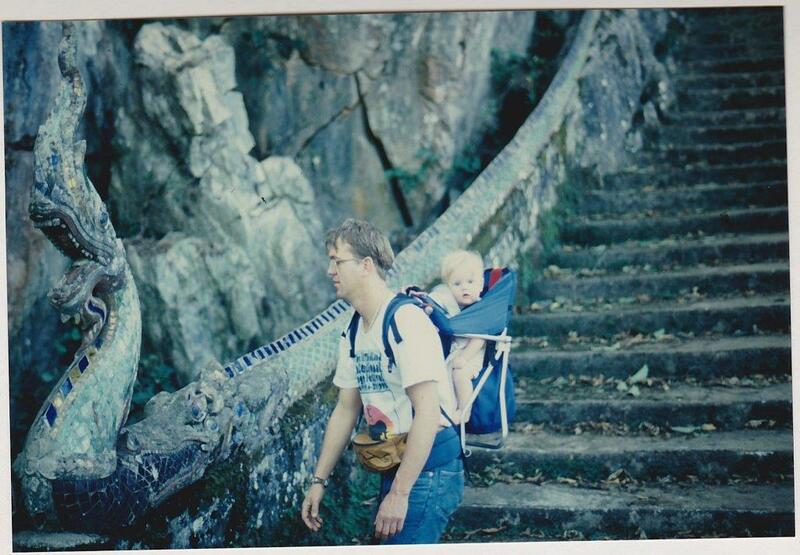 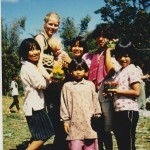 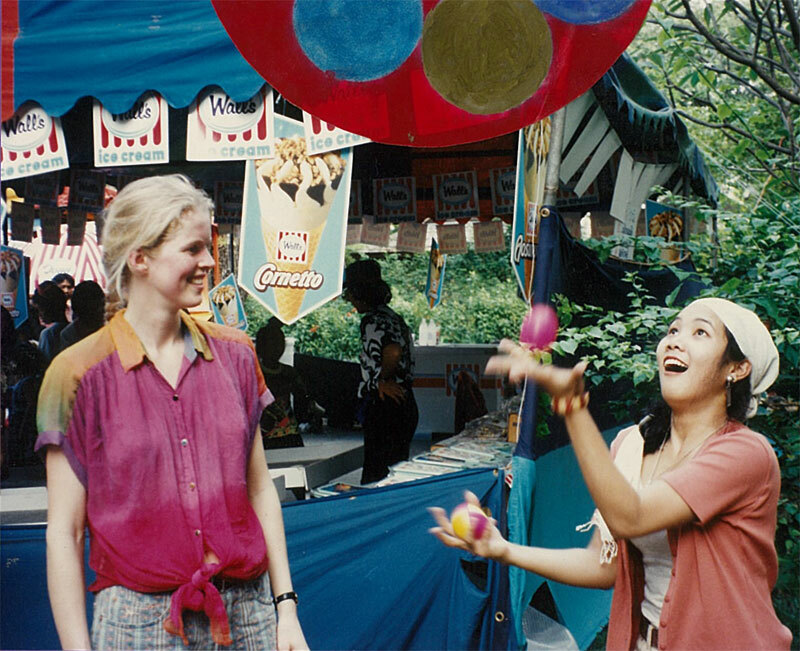 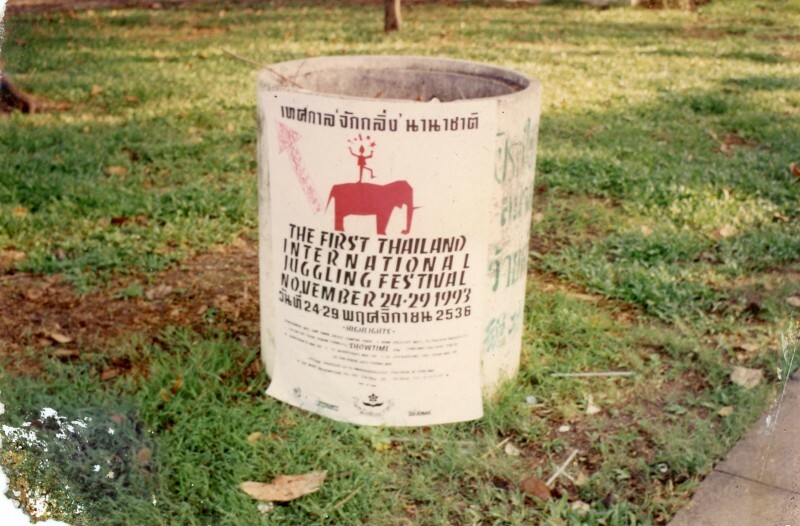 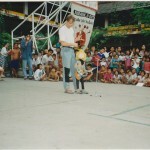 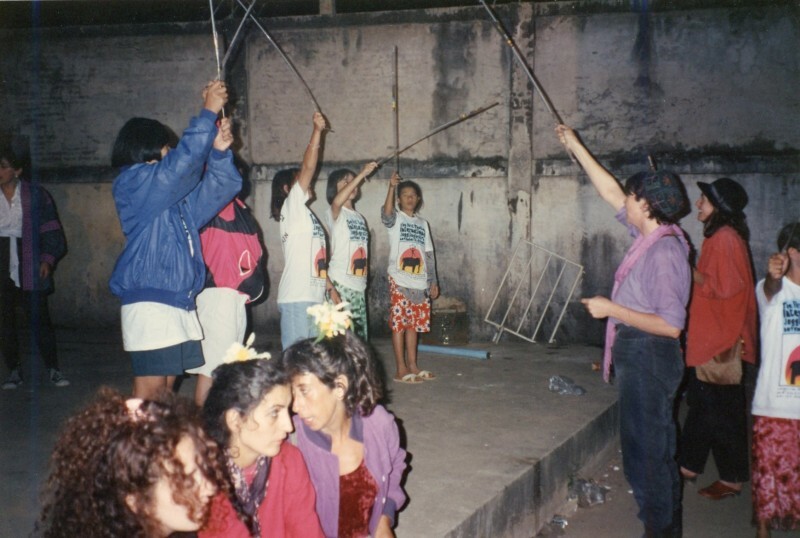 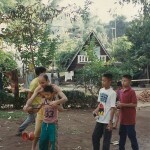 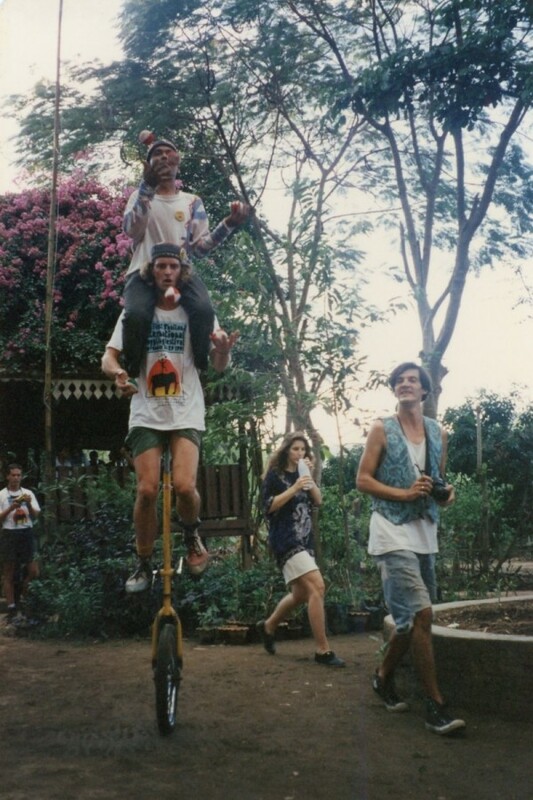 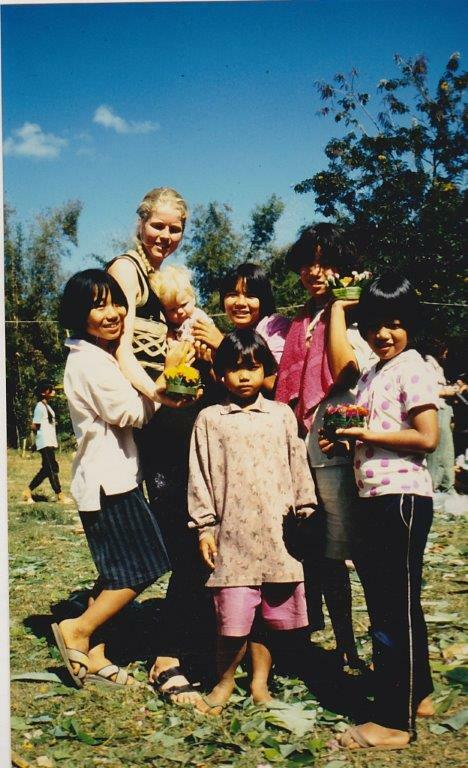 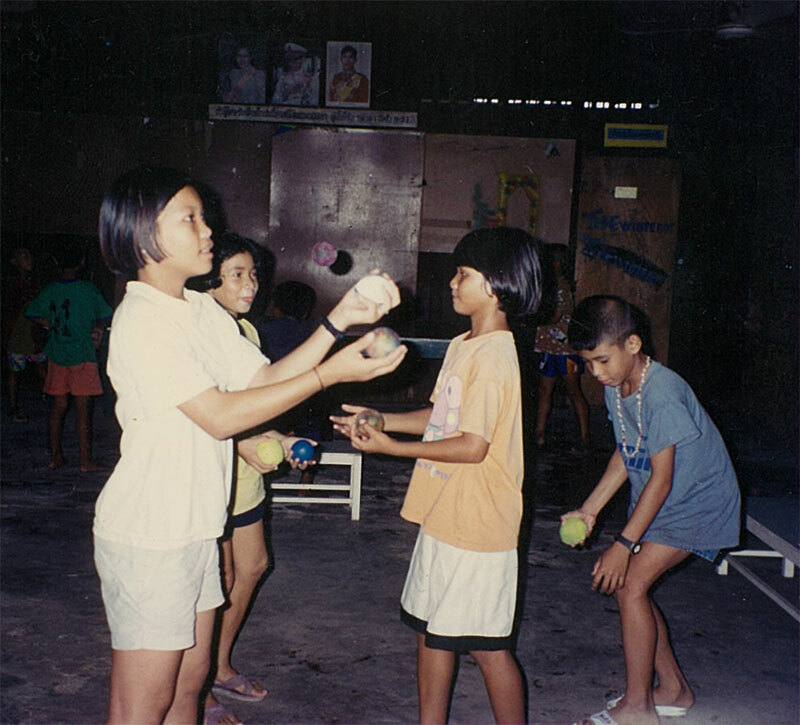 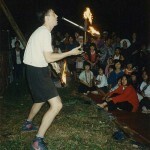 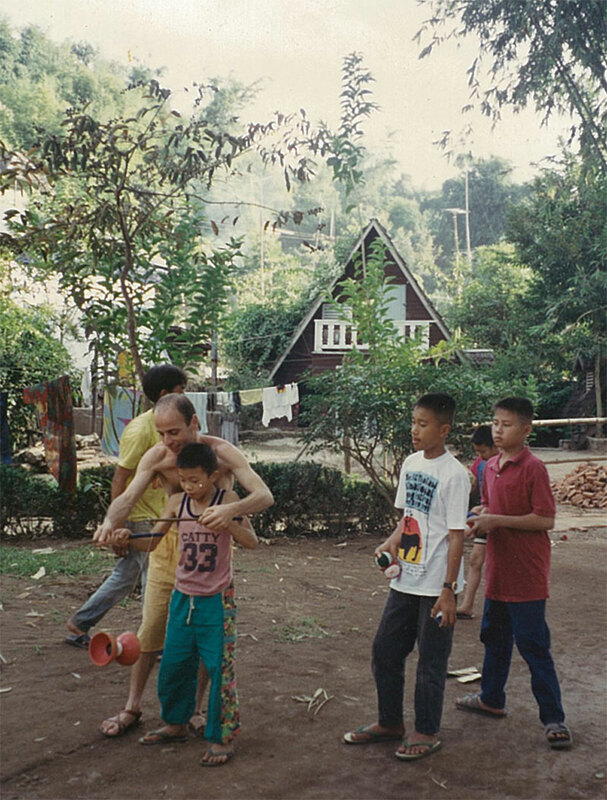 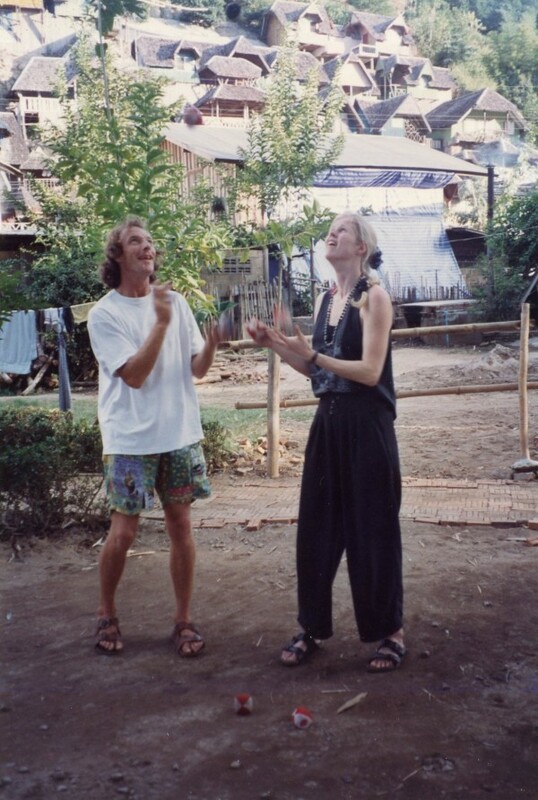 International jugglers joined with children in Bangkok and on the Thai-Burma border to stage workshops and performances: The First Thailand International Juggling Festival, 1993. 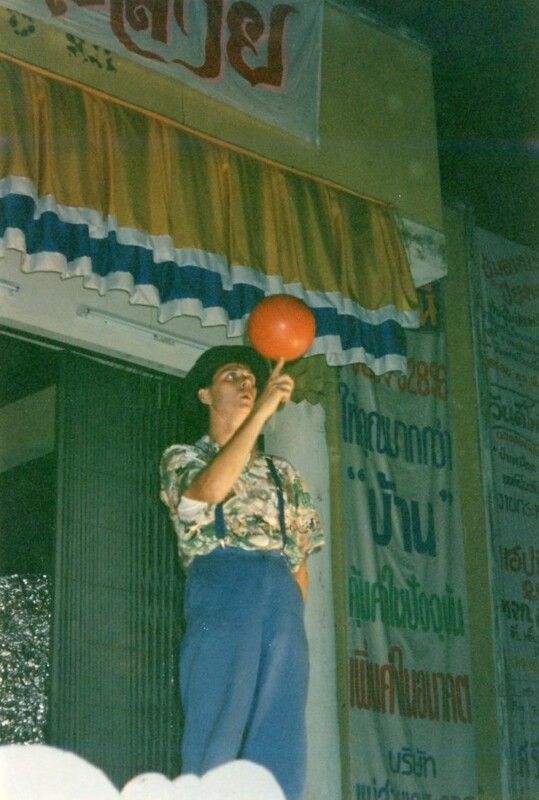 Programme Highlights included a dawn juggle in Bangkok’s Lumpini Park, parade in front of the Grand Palace, workshops and performances with the children of Klong Toei and at the prestigious Thai Cultural Centre, road trip to Mae Sai, workshops and show at the Daughters Education Project, workshops and juggling games, performance at the Mae Sai township Loy Kratong festivities. 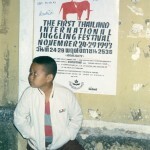 Klong Toei Show from Wanda Williams on Vimeo. 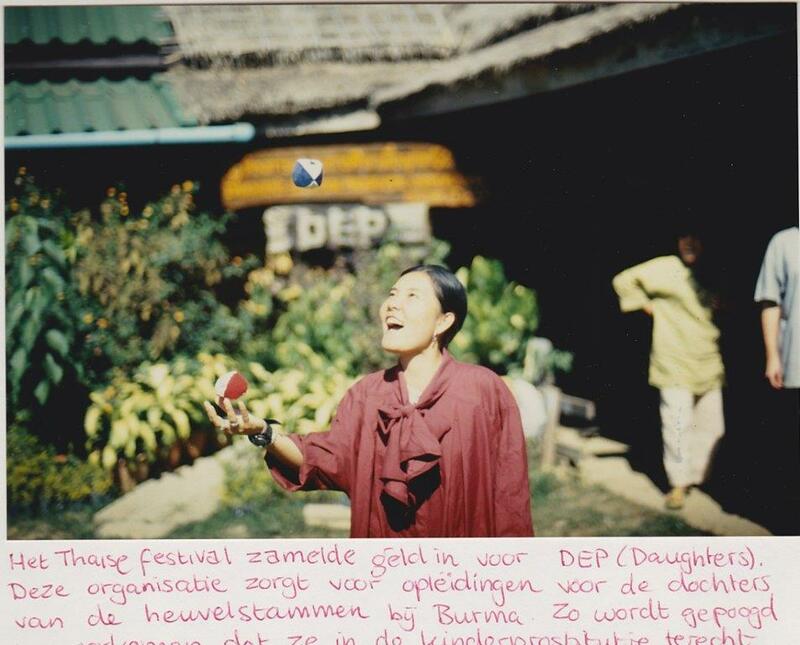 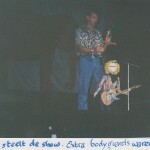 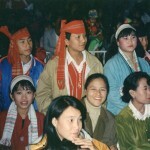 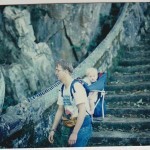 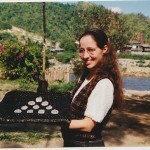 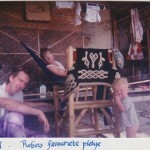 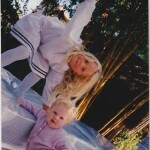 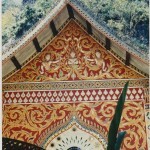 Show at the Daughters’ Education Project, Mae Sai from Wanda Williams on Vimeo. 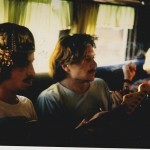 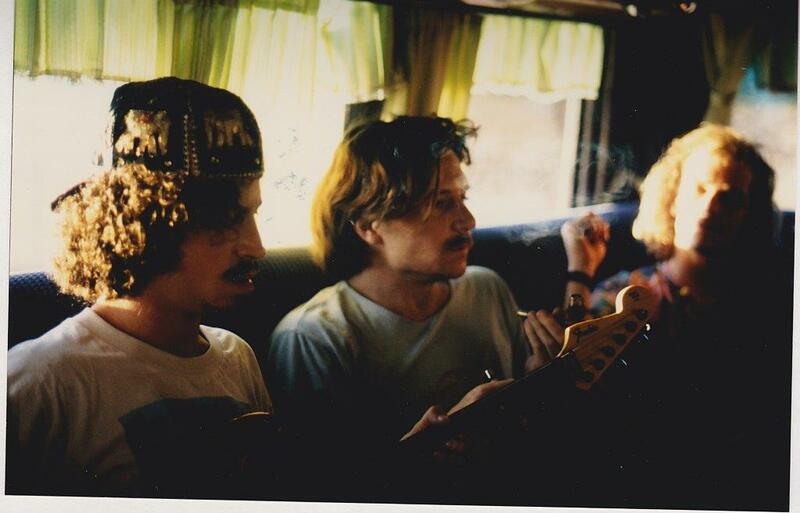 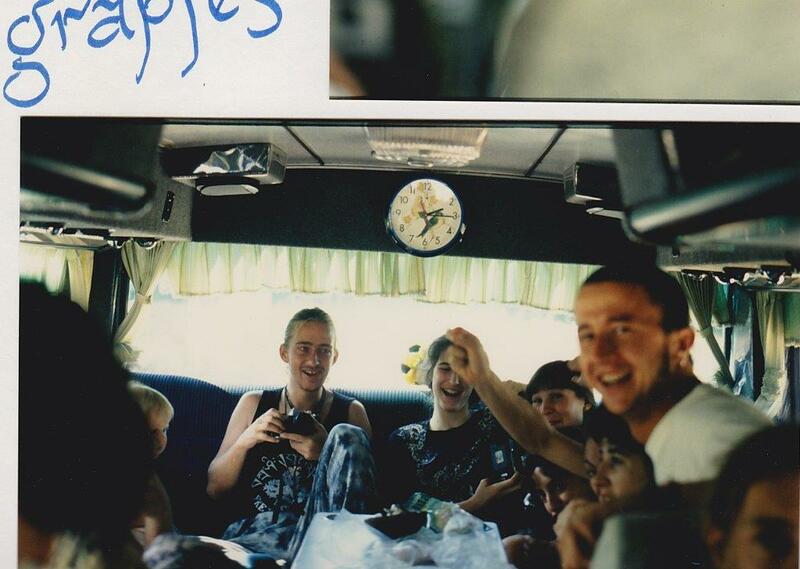 On a bus on the way to the gig. 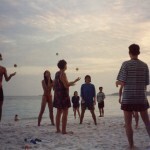 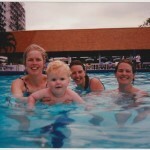 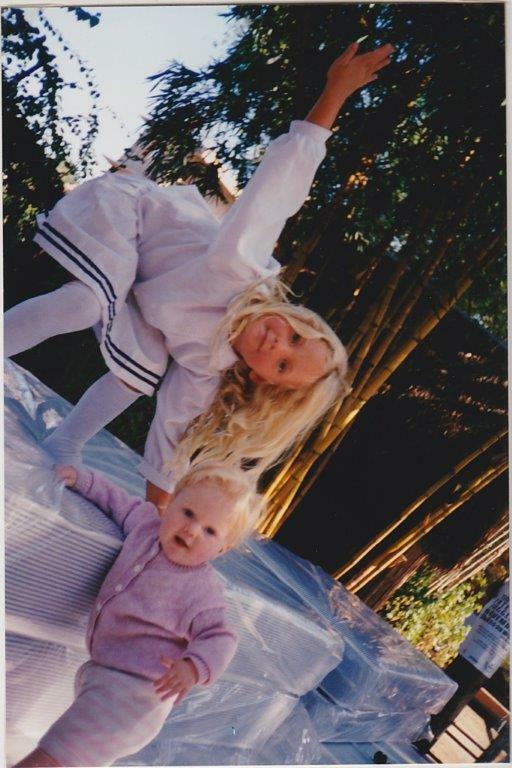 Joy, sharing, improvisation! 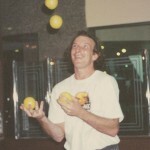 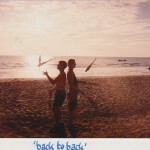 Juggler’s Rap from Wanda Williams on Vimeo. 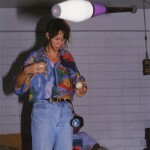 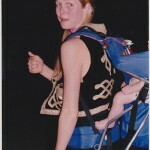 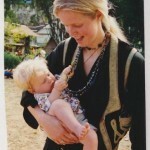 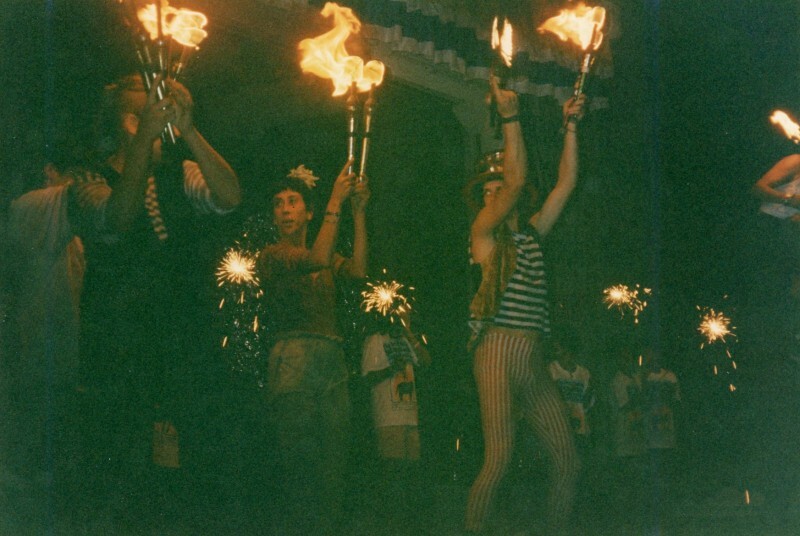 Juggling Parade and Fireshow from Wanda Williams on Vimeo. 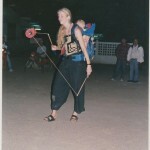 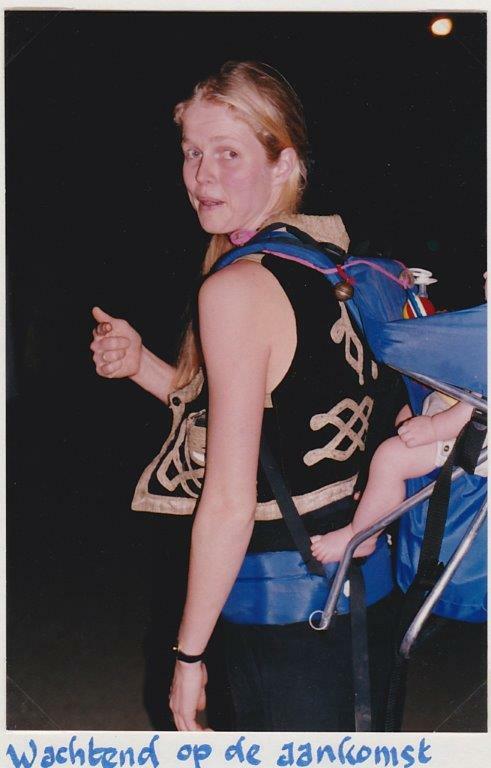 Juggling Parade and Fireshow including juggling on an elephant! 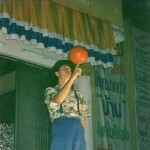 Jugglers meet In front of the Grand Palace in Bangkok for a parade and fire show marking the start of the First Thailand International Juggling Festival.